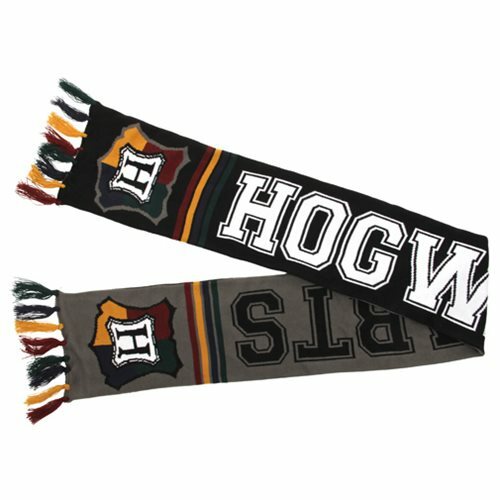 It won't take legitimacy to detect your school pride when you wear this Harry Potter Hogwarts Reversible Knit Scarf. The rich thickness of this scarf makes it ideal for frosty mornings on school grounds or university campus. The scarf is a must have for fans of Harry Potter. Measures about 64-inches long. Ages 14 and up.